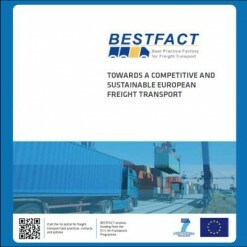 The objective of BESTFACT is to develop, disseminate and e nhance the utilisation of best practices and innovations in freight transport that contribute to meeting European transport policy objectives with regard to competitiveness and environmental impact. The BESTFACT consortium includes 18 partners made up of European research institutes, universities, international associations and industry partners. The projects 4 years development will lead to the production of a public-oriented knowledge base, conferences and workshops, to promote the best practices that contribute to European transport policy objectives. BESTFACT receives funding from the EC’s 7th Framework Programme.